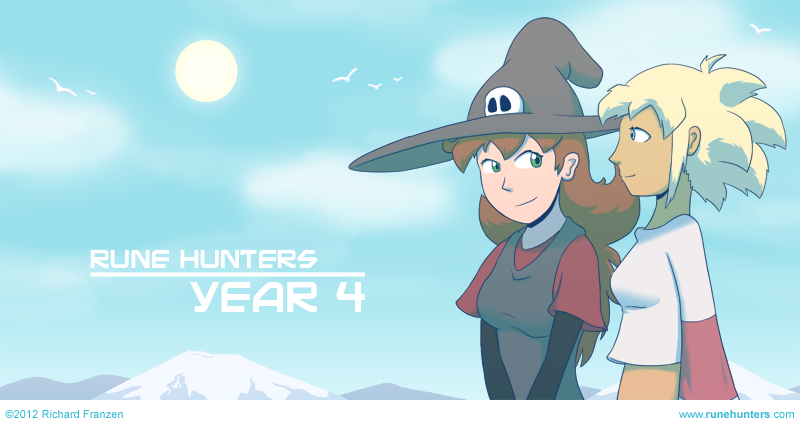 Man, it’s already been another year of Rune Hunters. I realize it’s been a while since my massive 2nd year group shot, as for some reason I just never made a 3rd year comic. Anyway, enjoy a slightly more subdued picture for this year, celebrating the titles two main leads. I would also like to take this time to thank all of you, the readers. I really appreciate all of you, the ones who read the comic week after week, or just read it all in one long shot. That there are people out there who enjoy my comic, who give me lots of feedback and sometimes even fanart, it means an incredible amount to me. Thanks, all of you.